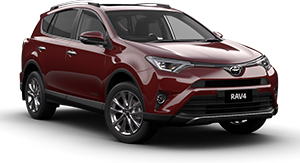 The dynamic design of RAV4 epitomises the car’s elite athletic personality and strength while emphasising just how much fun this car is to drive. Just by looking at the RAV4’s stylish exterior, you can tell this machine will switch from business, to pleasure, to leisure in a heartbeat. 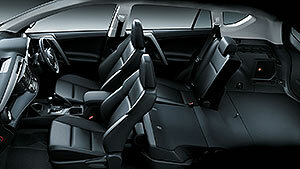 The 60:40 split fold rear seats are designed for both convenience and comfort. 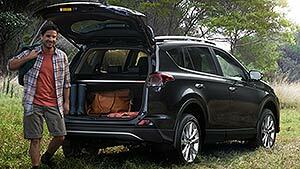 The rear seats can be folded in numerous ways to create a surprisingly large amount of room for awkward shaped cargo. 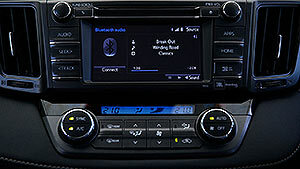 They have been shaped to offer maximum support while taking up as little space as possible. RAV4’s diesel engine generates a respectable amount of power (110KW at 3600 RPM) and heaps of torque (340 Nm between 2000 and 2800 RPM) so you have plenty of muscle for dealing with challenging terrain. 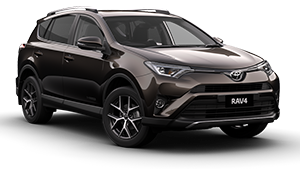 RAV4’s feature advanced audio systems with a 6.1″ touchscreen that displays selected music device, track and radio station details along with images from the Reversing Camera[B4]. Cruiser model shown. 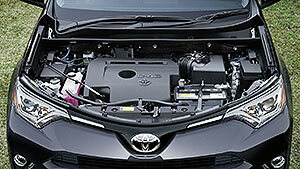 RAV4’s advanced 6-speed, automatic transmission system available in AWD models, is highly flexible. 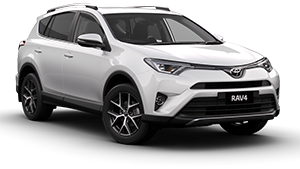 It is designed to give you the very best of all worlds. When driving in Sports mode, this AWD system enhances driving pleasure by contributing to the driving and handling stability that is more suited to sporty driving. 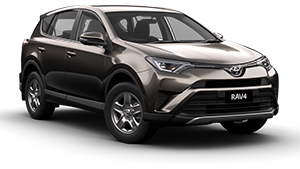 RAV4’s Multi-Information Display (MID) makes it easy to keep an eye on important information while staying focused on the road. 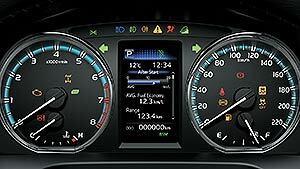 The MID displays average fuel consumption levels, outside temperature, possible cruising range and more, to make keeping track of your vehicle’s performance simple. 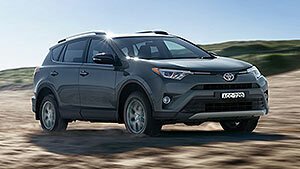 Toyota Service Advantage is one of the great, included features of owning a RAV4. 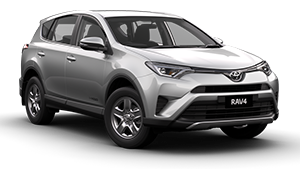 You get low cost, capped price, standard logbook services at $180 for the first 3 years or 60,000km, whichever occurs first [T1].